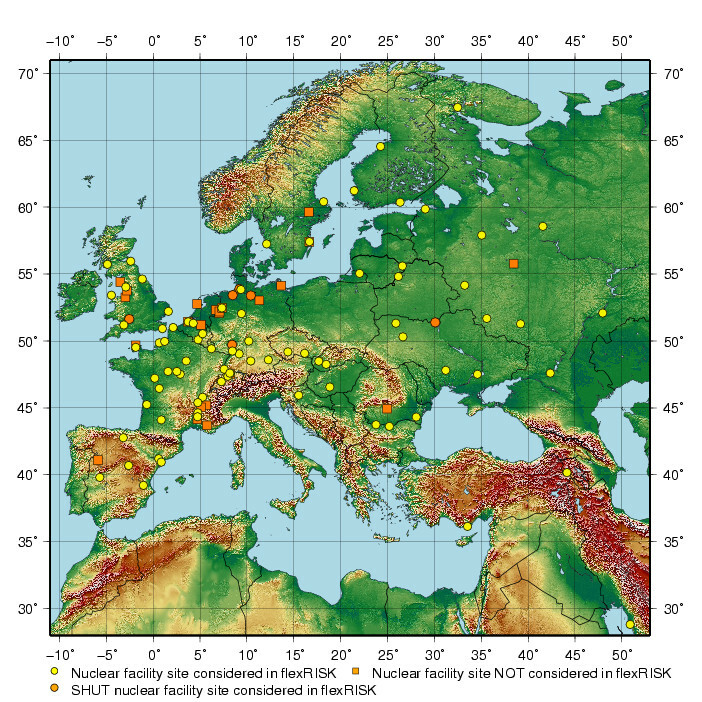 This is a clickable map with nuclear sites in the flexRisk domain. Pointing the cursor on one of the sites will show its name, clicking on it leads to the page for that site. Lists of the sites sorted country by country and sorted by site name are available as well.